Actor Jo Jung Suk increases his visibility tremendously through “The King 2 Hearts“. 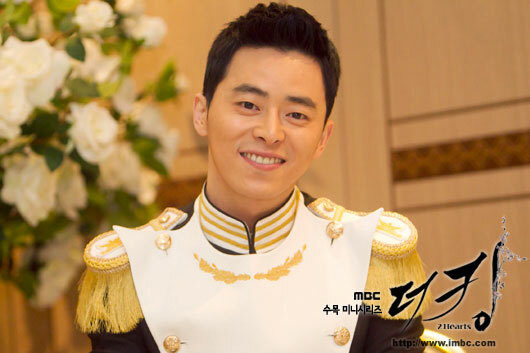 Jo Jung Suk who is playing the role of commander for the Royal Guard in MBC drama series “The King 2 Hearts” has seen his popularity risen due to excellent performance. And he whom love line with Lee Yoon Ji in the drama gradually clear has seen his actual filming time much more than expected, causing him not even having time to sleep. According to rumor from the entertainment industry, after starring in “The King 2 Hearts”, Jo Jung Suk received a lot of scripts to invite to join the cast, and the number even as many as more than 20. The management agency of Jo Jung Suk, Dream Star Entertainment revealed that he did receive a lot of invitations no matter it’s movie or drama series, but it’s not as much as 20 as per rumor. “Rank of Steel Saving the Country” is a movie directed by director Yook Sang-Hyo who also directed “He’s On Duty”. The movie is a comedy film based on the 1985 incident where students occupied the U.S. Cultural Center in Seoul. The movie is starring by Kim In-Kwon, You Da-In, Jo Jung Suk and others.